A new study from the Pew Research Center shows that more than four-fifths of US metropolitan areas have seen household incomes decline in the new century. The research is based on data from urban centers that are home to three-quarters of the US population. 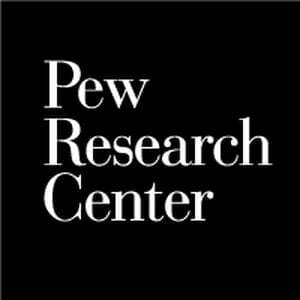 Pew’s America’s shrinking middle class shows that middle-class household income has declined throughout the population, while at the same time the gap between low- and upper-income households has grown, demonstrating a significant increase in income inequality across the US. A major contributor to economic decline and inequality has been the plunge in manufacturing jobs and wages. The study analyzed data from 229 of the 381 metropolitan areas in the US, as defined by the Office of Management and Budget (OMB). These areas accounted for 76 percent of the US population in 2014, those that could be identified in US Census Bureau data with statistics available for both 2000 and 2014. Middle-income households are defined as those with incomes of about $42,000 to $125,000, adjusted for a household of three. Pew found that the share of middle-income households fell in 203 of 299 metropolitan areas from 2000 to 2014. With household income falling in the middle-income tier in these areas, the shares of upper- and lower-income tiers have correspondingly grown. Based on US Census figures, the share of middle-income adults also fell nationwide, while the shares in the lower- and upper-income tiers have increased. The national share of middle-income adults decreased, from 55 percent in 2000 to 51 percent in 2014. At the other poles of society, the share of adults in the upper-income tier increased from 17 percent to 20 percent, and the share of adults in the lower-income tier increased from 28 percent to 29 percent. US metropolitan areas with the lowest household incomes are mainly located in the South. Areas with the highest household incomes are concentrated along the Northeast corridor and mid-Atlantic, from Boston to the District of Columbia, and in Northern California, representing the proliferation and profits of the tech, insurance and finance industries, as well as high-paid government employees and politicians. Midland, Texas, which benefited from the rise in oil prices from 2000 to 2014, saw both a shrinking middle class, which fell from 53 percent to 43 percent, as well as a decline in lower income households, falling from 28 percent to 21 percent. The recent drop in oil prices is not reflected in these figures. In nearly half of the metropolitan areas studied, the lower-income share of households increased. The 10 metropolitan areas with the greatest losses in overall economic status—the change in the share of upper-income adults minus the change in the share who were lower-income—have one thing in common: a greater than average reliance on manufacturing. These include the Rust Belt areas of Springfield, Ohio, and Detroit-Warren-Dearborn, Michigan, as well as two North Carolina areas: Rocky Mount and Hickory-Lenoir-Morgantown. In Springfield, which saw the biggest decline in economic status, a 16 percent drop, the truck assembly plant owned by Navistar employs thousands fewer workers than it did in its heyday. The Detroit metropolitan area has seen a dramatic decline in auto jobs, as well as a drastic drop in wages through two-tier systems introduced in large part as a result of the Obama administration’s auto bailout with the collaboration of the United Autoworkers Union. The Hickory-Lenoir-Morgantown area, once a thriving center of furniture manufacturing, has seen the demise of this industry, with an accompanying decline in household incomes and an increase in poverty. A brief from the UC Berkeley Labor Center documents the impact on incomes of declining manufacturing wages and the proliferation of temporary staffing agencies. Producing Poverty: The Public Cost of Low-Wage Production Jobs in Manufacturing charts the increasing numbers of manufacturing workers who are forced to rely on government programs, such as Medicaid and food stamps, to survive. The study shows that wages in manufacturing are falling to the levels of those in the fast-food industry and at big-box retailers. In 2013, the typical manufacturing production worker made 7.7 percent below the median wage for all occupations. The median wage of these production workers was $15.66, with a quarter making $11.91 or less. The National Employment Law Project (NELP) also found that since 1989 there has been a significant increase in the hiring of frontline production workers through temporary staffing agencies. Frontline workers are defined as non-supervisorial production workers who work at least 27 hours per week in the manufacturing industry or those highly associated with it. The Berkeley study found that high utilization of government programs by manufacturing workers was primarily due to low wages as opposed to inadequate work hours. Economic Policy Institute researchers found that as manufacturing wages have declined, manufacturing labor productivity grew by an average of 3.3 percent a year from 1997 to 2012, nearly one-third greater than in the private, nonfarm economy as a whole. This means that the manufacturing industry is sucking more and more productivity out of workers, while catapulting them out of the “middle class” and into poverty through low wages. There has been a dramatic growth in low-paying temporary positions, which now account for 9 percent of frontline manufacturing jobs—a nine-fold increase from 25 years ago. Temporary workers earn a median wage of $10.88 an hour, compared to $15.03 for those hired directly by manufacturers. Nearly half of all manufacturing workers hired through staffing agencies are enrolled in at least one public assistance program, just below the 52 percent of fast-food workers who rely on these programs.